If the holes in the tube are in the bottom, the rim strip may be out of position, allowing the tube to get cut by the spokes. If they're on top, there may be some small sharp object stuck in the tire. Find it by running your fingers lightly around the inside of the tire, then remove it. Let the air out, wiggle the bad spot around, reinflate to about 30 psi, and roll the bad spot into place with your hands. By pushing the tire in toward the middle of the rim you will be able to see if any of the tube is poking out. 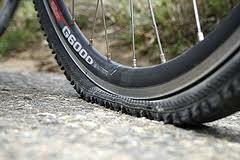 When the tube is fully inside the tire, inflate as normal. Apply more glue and let it dry completely, about five minutes (DO NOT BLOW ON THE GLUE) When you apply the patch, avoid touching its sticky side with your fingers. A spoke may have loosened. If tension is uniform, the sound might be caused by a slight motion of the spokes against each other where they cross. Lightly lube this junction, wiping off the excess. Tighten the crankarm bolts. 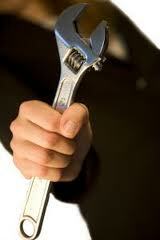 If the arm still creaks, remove it, apply a trace of grease to the spindle, and reinstall the arm. 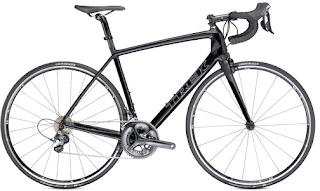 The large chainring flexes, and the chain rubs against the front derailleur cage. You have removed the chainrings to clean the crankset, but now the front derailleur doesn't shift right. You may have installed a chainring backward. Remove the rings and put them on correctly. 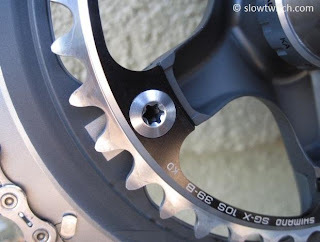 Usually, the crankarm bolts fit into indentations on the chainrings. Sight from above too, to make sure there's even spacing between the rings. Ride your bike around the block a few times. The crankarm will loosen and you'll be able to pull it off. Put clear tape beneath the housings where they rub. The cassette lockring might be loose, allowing the cogs to move slightly and rattle around on the hub. You need a special tool to tighten the lockring fully, but you can spin it tight enough with your fingers to ride safely home or to a stop. 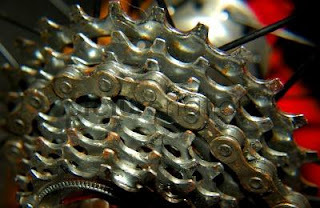 A little rust won't damage the cogs quickly, so it's not a major concern. Usually, using a little more lube will prevent additional rust, and riding will cause the chain to wear away the rust while you're pedaling. There may be debris between the cogs. If you can see mud, grass, leaves, twigs, or any sort of foreign matter trapped between cogs, dig it out. It's probably keeping the chain from settling all the way down onto the cog to achieve a proper mesh. If there's no debris, a cog is probably worn out. Most often this is a sign that the chain and cassette will have to be replaced. Check that the cage is parallel to the chainrings (when viewed from above), and loosen and reposition the derailleur if necessary. If it's parallel, you probably need to adjust the high- and low-limit screws, best done by a shop. The pulleys are dry and need lubrication. Drip some light lube on the sides, then wipe off the excess. The cable probably stretched. Dial out the brake-adjuster barrel (found either on the caliper or on the housing closer to the lever) by turning it counterclockwise until the pads are close enough to the rim to make the braking action feel as tight as you want. You probably have a ding or dent in the rim. This hits the pad every revolution, causing the unnerving situation. Take your bike into the shop. Before messing with the brakes, open the quick-release on the wheel, recenter the wheel in the frame and see if that fixes the problem. (This is the most common solution.) If the wheel is centered but a pad still rubs, you need to recenter the brake. On most modern brakesets this is done by turning a small adjustment screw found somewhere on the side or top of the caliper. (There may be one screw on each side, as well.) Turn the screw or screws in small increments, watching to see how this affects the pad position. If you center the brake and the wheel, and a pad still drags on the rim, it probably wore unevenly from being misadjusted; sand the pads flat and recenter everything. The pedal may have loosened. Tighten it. Wipe the rim to remove any oil or cleaning reside. If this doesn't work, scuff the pads with sandpaper or a file. Still noisy? The pads need to be loosened, then toed in; an adjustment that makes the front portion touch the rim before the back- an easy fix for a shop, a tortuous process for a first timer. Dip a tiny amount of oil around the rails where they enter the saddle, and into the clamp where it grips the rails. Heritage purists take note: Leather saddles sometimes creak the same way that fine leather shoes can. There's not much you can do about this. 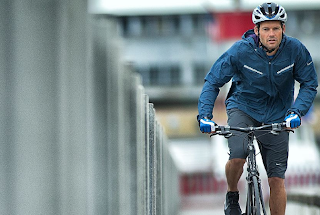 Treat the right-side pedal normally — righty-tighty, lefty-loosey. The left side pedal has reverse threads (to keep it from unscrewing during pedaling). If that's confusing, just remember this simple phrase: Back off. 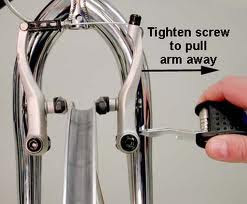 This can remind you that, with the wrench engaged above the pedal, you ALWAYS turn toward the back of the bike to remove the pedal. You can remove the pedal, but the crankarm will have to be replaced; its threads are softer than the pedal's and are now stripped out. ALWAYS check the pedals before installing. There is usually an R for right or an L for left stamped onto the axle. The bearing retainers are probably in upside down. If you'd rather have these issues addressed by our highly trained and experienced bike shop mechanics, drop on by. We have a new Evansville Indiana bike shop for you folks out west.